This ain't your regular Civic commuter. And the BTCC racer, today unveiled, is not even worse. 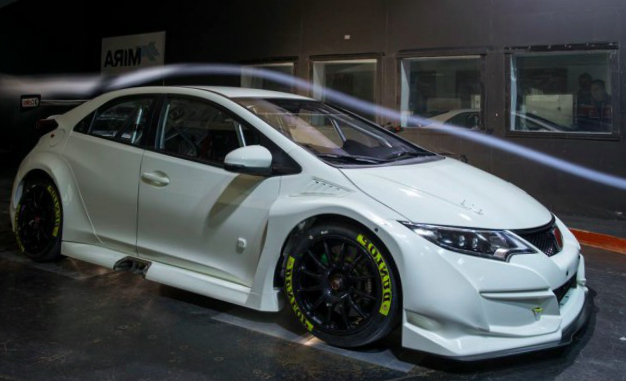 Here is the Honda Yuasa BTCC racer, set to debut on March 24th at Donington. Beginning with the Civic Type R that is bonkers, the racer notches things up significantly. The engine smashes out 350 hp and 295 lb-feet of torque, with bodywork providing you with more downforce a year ago in relation to the outgoing Civic station wagon version that ran in the BTCC. Having a race-prepped not one and chassis of the trappings of a street legal commuter, anticipate the operation to be all the more infamous. Together with the new Type R being built-in the U.K., it just makes sense for Honda to run it in the BTCC. We had claim so far that reasoning has fallen on deaf ears, although it also is practical to set some of the road vehicles and send them stateside.